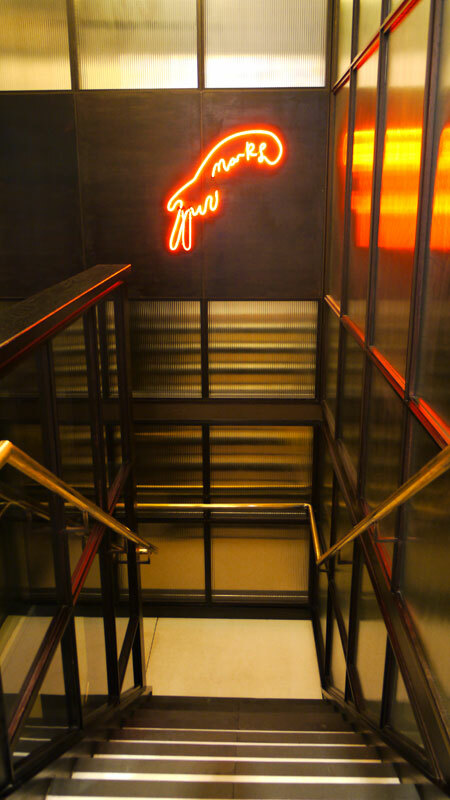 Sound Division were recently commissioned to install a background music system in the well known Hix restaurant in Brewer Street, Soho, London. 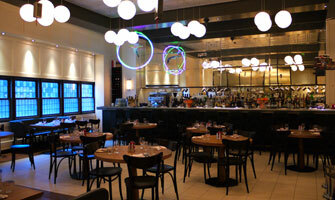 Hix is the third restaurant in the rapidly expanding chain of high-end eateries from chef and entrepreneur Mark Hix. 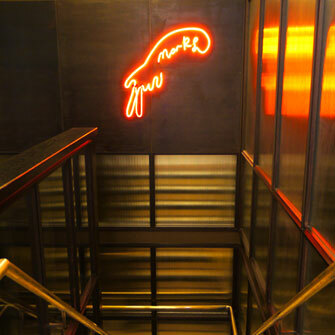 Set in the heart of Soho it boasts an award winning restaurant on the ground floor and the celebrated Mark’s in the basement, with its apothecary bar and an eccentric cocktail list. Sound Division were asked to return to Hix to re-commission the music system that they had installed for the previous restaurant that traded on the site. 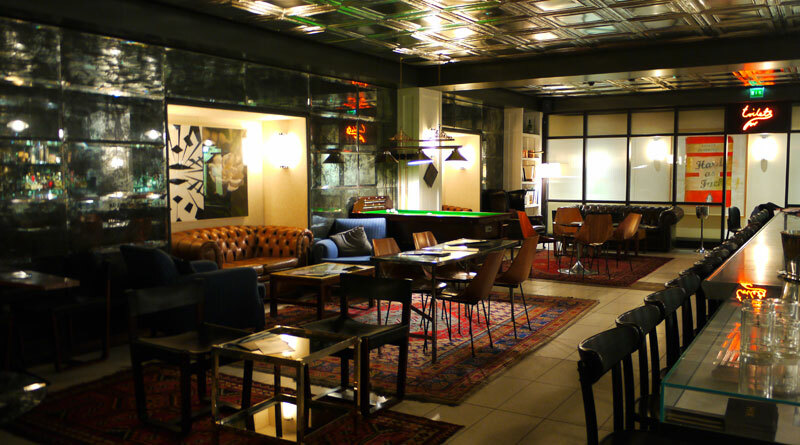 In addition they were asked to upgrade the speaker system in Marks Bar, the basement bar lounge, to create a more vibrant atmosphere for the guests. Having previously installed discreet JBL ceiling speakers in Mark's Bar, a set of black JBL Control 25AV cabinet speakers were now specified and wall mounted discreetly into the corner niches, re-using the existing cabling infrastructure. For power, zoning and control the existing equipment rack was upgraded with a new system comprising of QSC RMX power amplifiers, a DBX ZonePro 640 system processor. New DBX remote control panels were fitted locally in each floor for source selection and volume control. 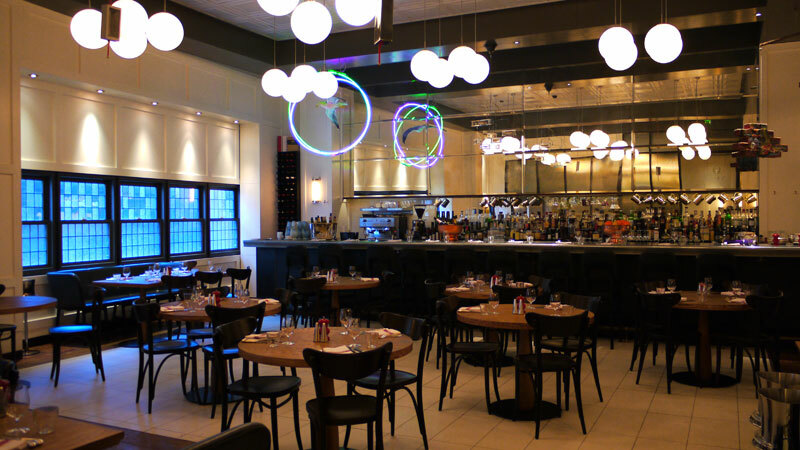 As a trading restaurant, Hix were keen not to have service disturbed so to accomodate, the installation works were carried out from 5am to 11am each day to prevent disruption to the busy restaurant service which started at midday. Following commissioning of the new system the sound quality throughout Hix has dramatically improved, to the clients satisfaction. 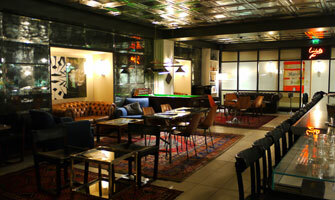 "Upgrading our sound system has made a huge difference to the atmosphere in Mark's Bar. The quality has a warmth and clarity to it that was missing before, and hey presto in October we won 'Best place to drink' in the Observer Food Magazine Awards... happy days". "I think it was a logical choice for Hix to contact us to do the work required, as we had worked successfully at the site in the past. Most importantly, we have met a new client, and are very pleased with the job we have done for them – to specification, to budget and on time, and look forward to working with them again on future projects".